Wild Deuce surpasses their goal for STARS! 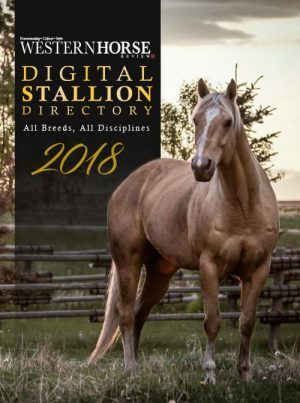 Wild Deuce would like to thank everyone for another successful Working Mountain Horse Challenge & Select Sale that took place in Kingman, AB, Sept 24-26, 2010. With a the 25th Anniversary of STARS taking place this year, the big push was to raise $10,000 for the life-saving organization. Each year Wild Deuce raises money for STARS through a Silent Auction at their event. 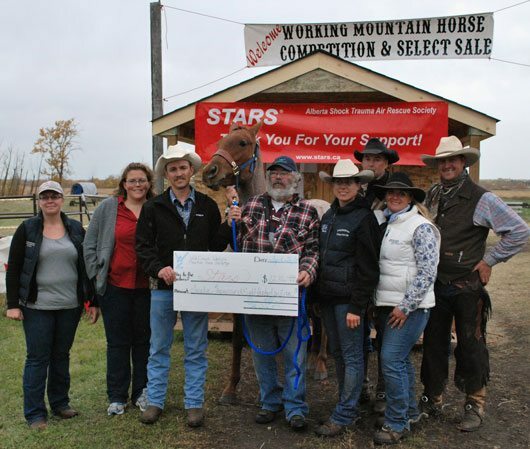 This year, along with the Silent Auction ($4700), cookie sales ($750), the auctioning of a 17HMR Rifle ($475), and the auctioning of the STARS horse, a record breaking $12, 862 was raised! Wild Deuce would like to thank all the people and businesses that made donations and brought out their wallets to help Wild Deuce surpass their goal. 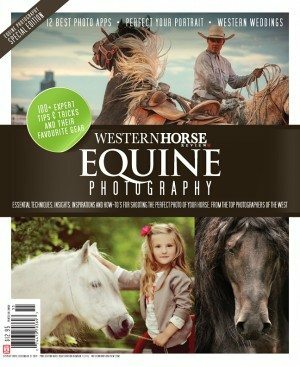 A special thank you to Bruce from Whitecourt who bought Topline Dandy and all her tack and 50 bales of feed for $6,100. All proceeds to STARS. Friday morning the sun came out which started the Open Competition off in fine form. The course was changed up for this year including having to crawl into a covered wagon off the back of their horses. The 22 competitors lived up to the new challenges and Wild Deuce is looking forward to more new surprises for their 2011 course. The Working Mountain Horse Challenge takes place at the end of September every year. 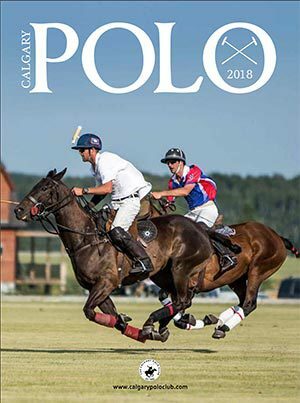 • Champion of the OPEN Competition went to a first time participant, Caleb Block and sponsored by Richmond Transport of Stony Plain. Caleb donated his prize money back to STARS. • 5th Place was taken by Cynda Didier of Alder Flats, AB, and sponsored by Summit Outfitter Supplies in Millet, AB. prizes. 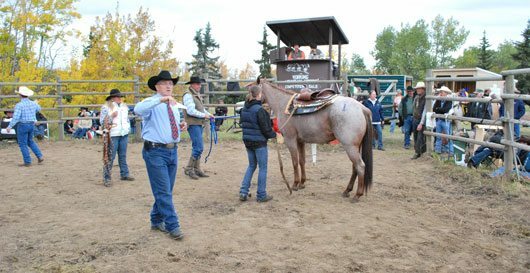 The Youth Competition was sponsored by Total Orthotics and Red Lodge Guest Ranch of Bowden, AB. Friday wrapped up with a new event for the Sale Horse Challenge. A timed relay race based on life in the mountains. With side-splitting laughter the crowd watched on as Consignors competed for the fastest time. A delicious free BBQ, sponsored by Curty’s Oilfield, followed the Relay Race, and the day wound down around the campfire. Saturday was greeted with a Pancake Breakfast, sponsored by the caterer, Food With Flaire. The Sale Horses competed letting potential buyers have a chance to view the horses as they are put through their paces. 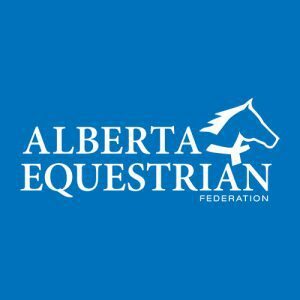 • Reserve Champion was Brenda Miller from Alder Flats, AB, riding Lot #11, Fritz, sponsored by Riverview Vet Clinic of Devon. 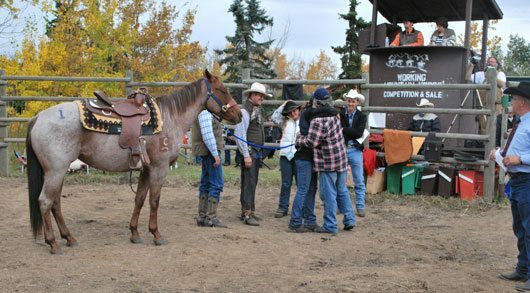 • 3rd Place was Cynda Didier from Alder Flats, AB, riding Lot #14, Macs Scotch Pine, sponsored by Dogspaw of Edmonton. Saturday evening there was a catered BBQ with a dance and slideshow that closed the evening. Sale average was $4260. This does not include the STARS horse that sold for $6100.